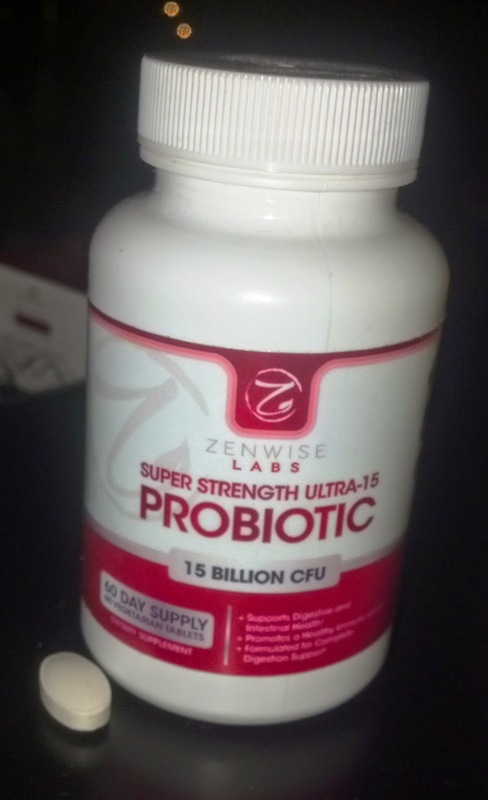 Zenwise Labs' Super Strength Probiotics contain 10 natural probiotic cultures that assist the body's digestive process and help to fight and protect against harmful bacteria, thereby promoting a healthy immune system. Each serving contains 15 billion live cultures, and the bottle contains a 60 day supply. The pills themselves are medium-sized capsules that are easy to swallow. I really like that I only have to take one pill a day and can take it with or without food. So it's easy to take and no hassle at all. I have Irritable Bowel Syndrome so taking a daily probiotic is really important for my digestive health and to keep me feeling well. This probiotic is potent with no side effects and it really seems to do the job. Every day that I take it, I feel more regular and have a better sense of overall wellness. I also really benefit from the immune support since I used to get sick a lot before taking probiotics. I really trust these Super Strength Probiotics and have had a great experience with them. I plan to continue taking them daily to keep my gut and my body healthy. Learn more at http://www.ZenwiseLabs.com. Disclosure: I received this product in exchange for an honest review. No other compensation was given. Powered by BrandBacker.